Echo Mt. was booming in the late 1800's. The Mt. Lowe Railroad was thee destination. Then the fires and downpours came. Same thing happened last year. Glad to report that the greenery and bright flowers are fighting back amongst all of the charred remains. 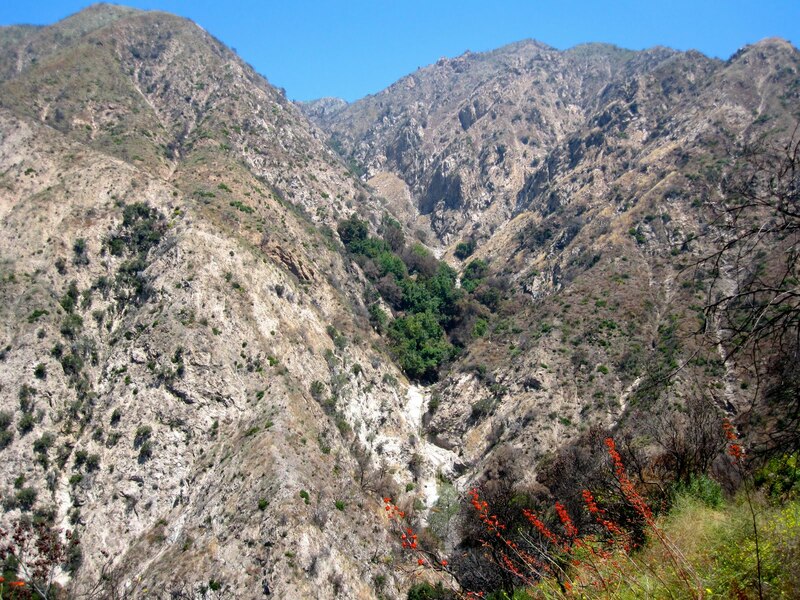 See a waterfall? 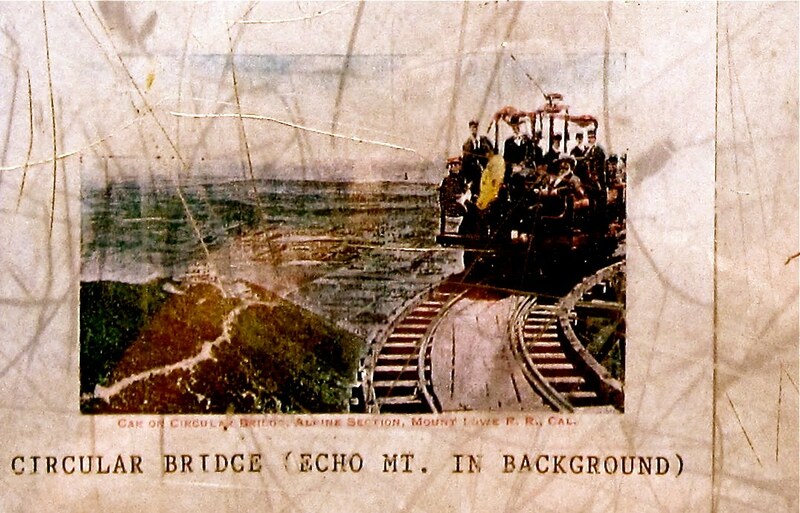 "On Mount Echo were installed megaphones, called 'echophones' which visitors could use to bellow into the back canyons and receive a number of echoes. The “sweet spot” where the most repeaters could be heard had at least nine reverberations of anything that was shouted loud enough." 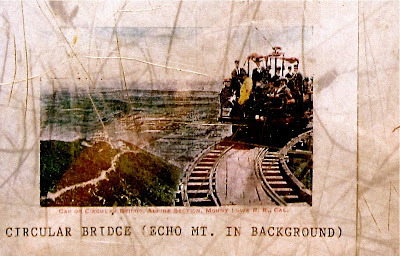 The Grateful Dead "Big Railroad Blues"
Did you approach Echo mountain from Sunset Ridge? My partner went to a memorial a few days back for a 95 year old man who took the incline as a ten year old boy. Not many alive who can claim this. Yeah, Sunset Ridge. I believe.